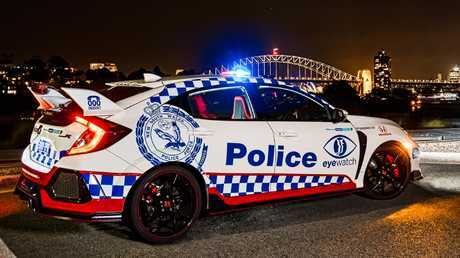 NSW Police Honda Civic Type R.
IF YOU can't beat them join them. 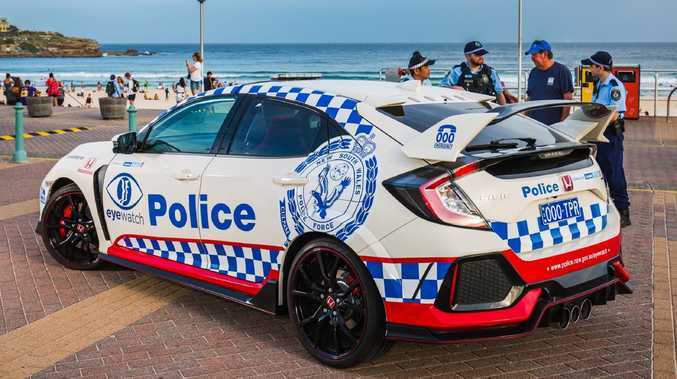 That's the philosophy behind the NSW Police's latest recruit - the Honda Civic Type R hot hatch. 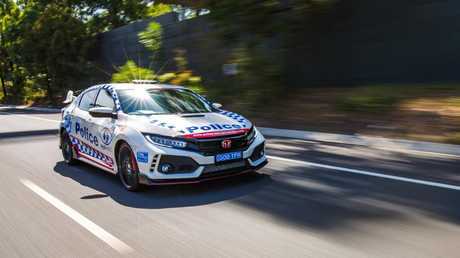 The head-turning performance car has joined the force as part of a 12-month partnership between Honda and NSW Police. The car will be used as part of the Eyewatch campaign which encourages local communities to connect with Police via social media. Police use the Eyewatch initiative for crime prevention, to identify missing or wanted people and provide information for local incidents. Honda Australia boss Stephen Collins is excited by the collaboration with local law enforcement. The Honda Civic Type R will be used to engage with the community. "Honda Australia is delighted to partner with the NSW Police Force and take an active role in raising awareness of the Eyewatch program to help make our communities safer," says Collins. The Honda Civic Type R has a cult following among young car lovers who flock to the famous hot hatch known for its speed and over-the-top style. The Type R is powered by a turbocharged four-cylinder engine (228kW/400Nm) and costs about $57,000 drive-away. Despite the impressive power figures the car's 0-100km/h time isn't benchmark at 5.7 seconds but it is by no means sluggish, boasting a top speed of 272km/h. As a countermeasure to the slower straight line speed the Type R throws itself into corners with precise steering and incredible balance. Despite its ample performance it could never be used for Highway Patrol duties because it is manual only. The Type R is provided by Honda Australia at no cost to the taxpayer. Polarising looks are headlined by sharp angular features and lots of body scoops and creases along with a gigantic rear wing. NSW Police Assistant Commissioner Joe Cassar says the outlandish looks make the Type R the ideal tool for engaging with the local community. "The eye-catching design of the vehicle will hopefully be a great conversation starter while on display and get more people, especially younger people, more comfortable with approaching their local police," says Cassar. The Type R isn’t the quickest hot hatch in a straight line. As an added bonus to NSW taxpayers the Honda is provided free of charge by Honda says Cassar. 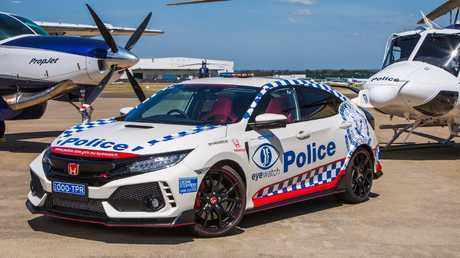 The NSW Police Honda Type R will make its debut this weekend before travelling around the state. The BMW i8 was used by the Rose Bay Police Local Area Command. 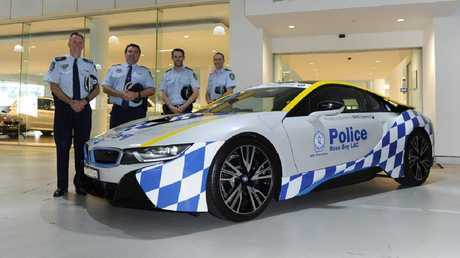 NSW Police have used promotional vehicles provided by manufacturers for community engagement programs before, including a BMW i8 and Porsche Panamera. The NSW Highway Patrol now uses high-performance BMW 5-Series vehicles reportedly worth about $100,000, twice as much as the former Holden and Ford cars. 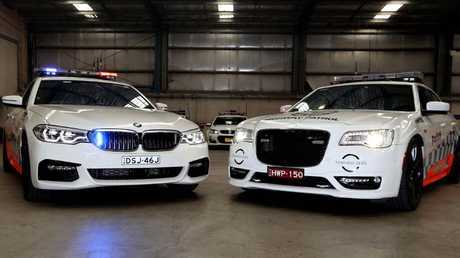 NSW Police BMW 530d and Chrysler SRT Core Highway Patrol vehicles. Chrysler 300 SRT vehicles are due to enter active duty with the NSW Highway Patrol shortly. 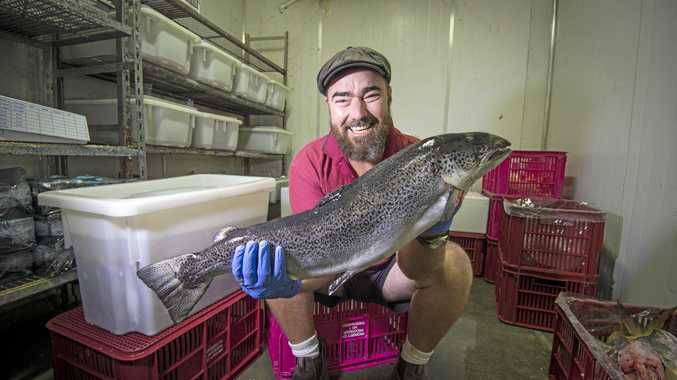 News Get the freshest seafood in town. News Find out what type of boats are in the most claimed accidents.